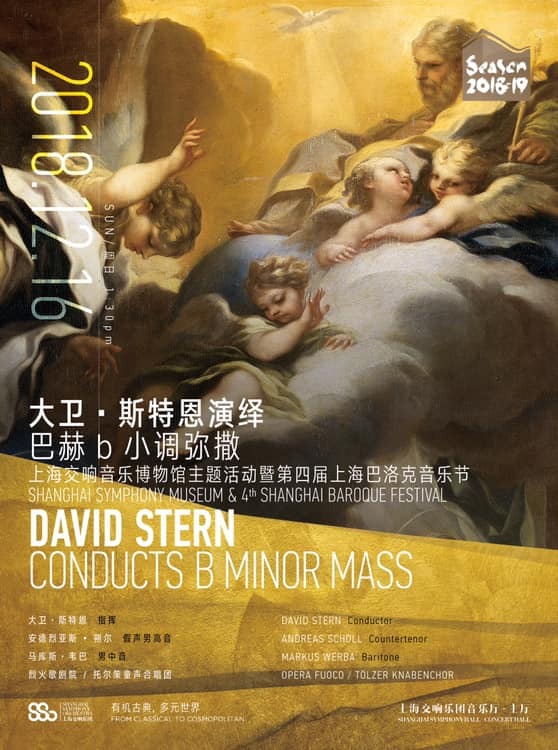 On December 15 and 16, 2018 David Stern offers Shanghai music lovers the 4th annual baroque festival at the Shanghai Symphony Hall, with a performance of Bach’s B-minor Mass with Opera Fuoco and the Tölzer Knabenchor. The work has not been heard in Shanghai since 1918. Andreas Scholl returns to the festival after a series of performances in 2016. He will be joined by Markus Werba, bass-baritone and three members of Opera Fuoco’s young artist program, Theodora Raftis, Adèle Charvet and Andrés Agudelo. David Stern has previously brought Handel’s Giulio Cesare and Alcina to the festival as well as Purcell’s Dido and Aeneas and vocal soloists such as Vivica Genaux, Rafaela Milanese, and Alice Coote. 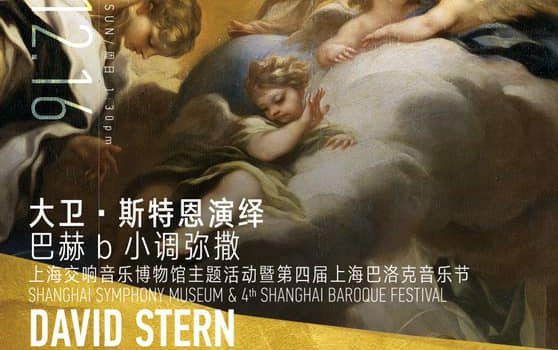 This year’s festival will also include a concert with Paris-based 18th century wind ensemble, Tibiades and a masterclass by French baroque cellist, Jérôme Huile.